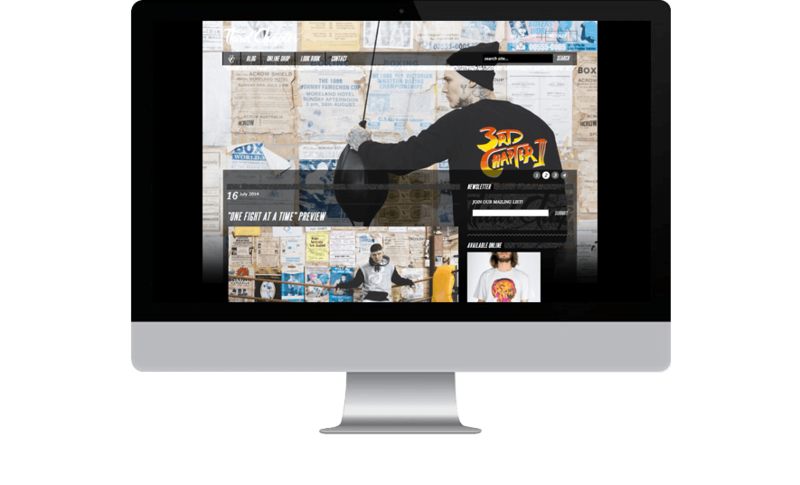 Third Chapter is a Melbourne-based street wear company that approached Digital Thing to design and develop an eCommerce website. 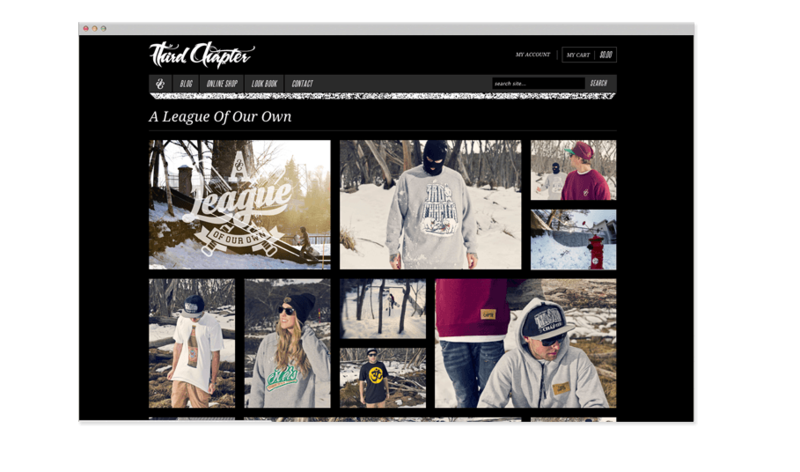 The website needed to adhere to a strict design style and include a blog and online shop. 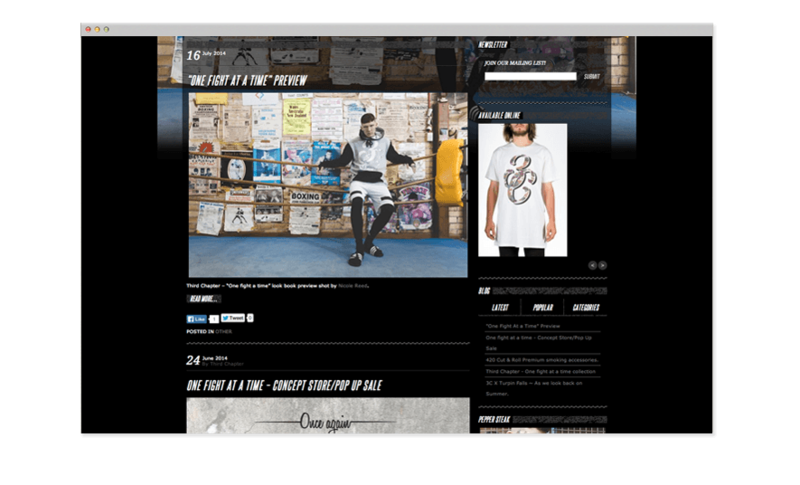 Digital Thing built a WordPress custom themed site which included an eCommerce plugin. 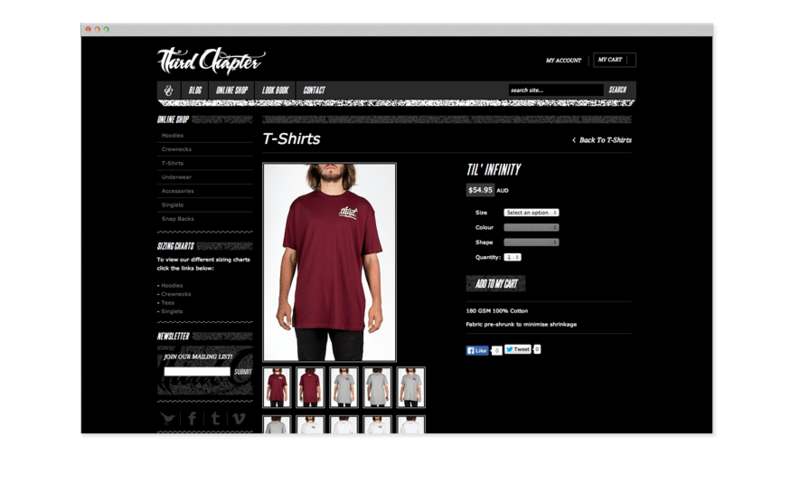 All facets of the website can easily be updated by the team at Third Chapter which enables them to easily post blog articles and constantly upload new products. The Third Chapter team have continued their partnership with Digital Thing. Since being initially engaged, we have enhanced website features such as look books, embedding videos and integrating social media throughout the site.